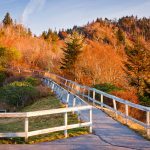 The Blue Ridge Parkway’s project list for 2018 includes repairs to the Linn Cove Viaduct and Flat Top Manor at Moses H. Cone Memorial Park, planning for 5,300 acres of recently acquired land near Waterrock Knob, the re-opening of the cafe at Doughton Park, and more. 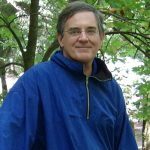 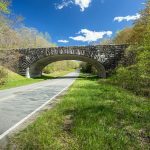 A brief history of the Blue Ridge Parkway written by Dr. Anne Mitchell Whisnant, a professor at the University of North Carolina. 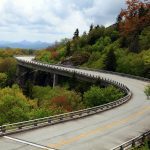 Take a day or a week to discover Appalachia along one of the region’s many driving trails. 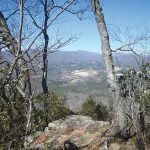 Little Table Rock Mountain Trail is the longest of three newly designated Stanback Trails along the Blue Ridge Parkway in North Carolina. 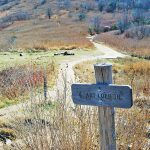 It is located just a mile up the Parkway from the Heffner Gap Overlook at milepost 325.9, where a second Stanback Trail — the Rose Creek Trail — begins directly across the street.